Participants in emCETT’s practitioner-led action research programme had the opportunity of submitting portfolios for Level 5 accreditation. This is an optional QCF unit which provides all of the 15 optional credits needed to complete the Certificate in Education and Training and one third of the required 45 optional credits required to complete the Diploma in Education and Training. 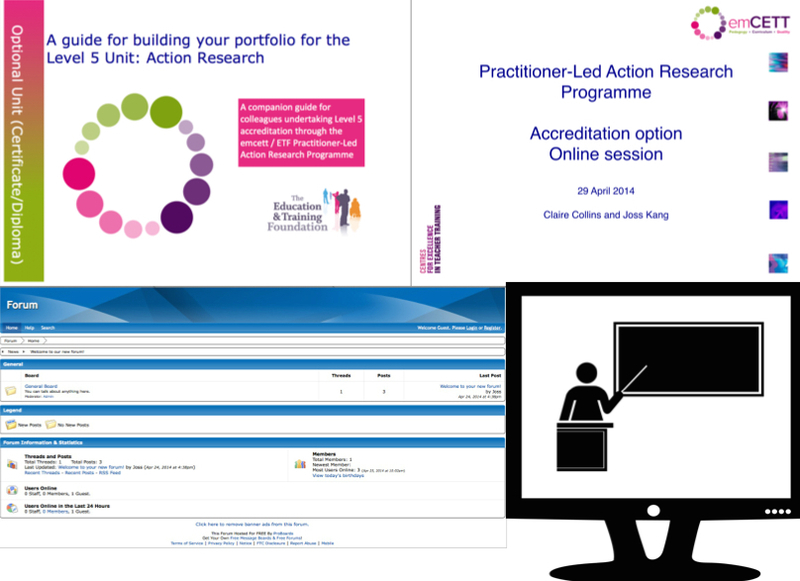 a critical evaluation of your practice in carrying out action research. Also, many thanks for the very comprehensive feedback on my Level 5 assignment….It has truly been a labour of love to undertake the module which has worked really well with the actual emCETT project objectives. Thoroughly enjoyed the journey and the benefits gained are no exception.